I’m Ed Smith, a Roseville auto accident attorney. Did you know that of all accident types in Roseville, 58 percent were rear end collisions in 2014? This is compounded by the fact that 59 percent of the accidents involved excess speed. 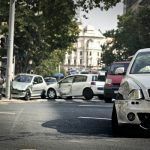 Let’s take a look at rear end accidents from several perspectives. According to the National Transportation Safety Board, about 50 percent of all accidents nationwide are rear end collisions. The severity of such accidents is largely determined by the speed of the collision. It also involves the size of the rear vehicle. A large truck can cause significant injuries to occupants of a smaller passenger vehicle. Conversely, the occupants of a passenger vehicle can be killed when striking a large truck from behind, an underride accident. Additional problems such as difficulty sleeping and resulting fatigue related to pain. This problem is diagnosed using CT and other radiographic modalities such as an MRI. Pain is usually addressed with anti-inflammatory medications and rehabilitative therapy. 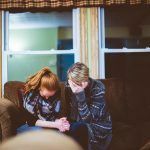 Symptom onset may be delayed for as long as 48 hours and can persist for months or years. In multiple studies, it has been shown that even at relatively low speeds of 8 mph and less, cervical injury can occur. Low-speed collisions can cause little if any damage to the vehicle but can cause significant occupant injury. At 9 mph there is little absorption of impact by the bumper, increasing the force of impact to occupants. Head restraints are important in reducing the extent of motion involved. Making sure the height of the headrest is appropriate is vital. If the headrest is too low, the person’s head may whip over the headrest, causing more damage. At higher speeds, head motion is greater despite absorption of energy by the bumper. Two main reasons that rear end accidents happen are speed and distraction. Drivers must not exceed the posted limits and not drive too close to another vehicle, commonly called tailgating. Distraction is a major problem today and is often caused by texting or attending to tasks other than driving. A relatively new device called a forward collision warning (FCW) system might help. According to the NHTSA, this device monitors the distance between two vehicles. It also monitors the speed of the vehicle where it is installed and the speed of the lead vehicle. Sensors are able to pick up stationary objects too. As collision is imminent, a warning is issued to the driver to slow down. FCW is available as an option on newer cars and is expected to be more widely available in the future. 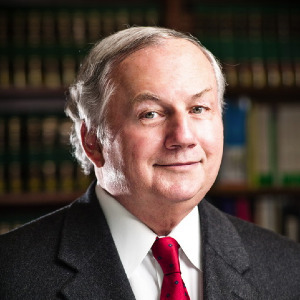 I’m Ed Smith, a Roseville auto accident attorney. Rear end and other accidents happen all too frequently. 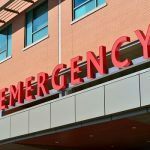 If you are injured in a collision or if a family member was killed in one, you need the help that a Roseville auto accident attorney can provide. You can call me anytime for a free case evaluation at (916) 921-6400 or at (800) 404-5400. I’ll answer your questions and provide free and friendly advice. 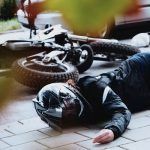 I’ve helped many Northern California residents, including those in Roseville, with wrongful death claims, motorcycle accidents or dog bites. If you want to learn more about me and my legal practice go to Avvo, Yelp or Google to read reviews by former clients and some of my peers. You can see the way I resolved some prior cases at settlements and verdicts. I am a member from the state of California in the Million Dollar Advocates, a forum of trial attorneys who have won $1 million or more for their clients. 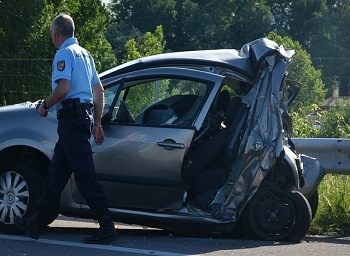 If you are interested in other personal injury topics, stay here on AutoAccident.com and look around. I founded and own this website to bring clients information they need.